You are allowed to use the videos and information on this site for personal or educational use only. You are not allowed to distribute or sell any of the materials or videos on this site. 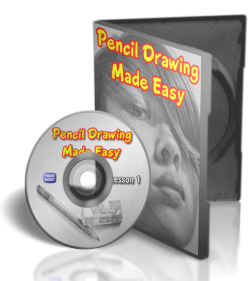 All videos and Ebooks are copyright of PencilDrawingMadeEasy.com and may not be downloaded. You may NOT distribute any materials from this site. Any violation of these terms will result in immediate termination of membership without refund and could result in legal action. Any violations to these terms will be dealt with immediately. The creator of PencilDrawingMadeEasy.com is not liable in any way for damages that may arise when using or downloading content contained on all pages related to PencilDrawingMadeEasy.com. The users acknowledge that they assume all risk and/or responsibility when using and viewing this site. No part of the Website itself may be reproduced without our prior written consent. Any links to third party websites located on this Website are provided for your convenience only. We may not have reviewed each third party website and have no responsibility for such third party websites or their content. We do not endorse the third party websites or make representations about them or any material contained in them. If you choose to access a third party website linked to from this Website, it is at your own risk. You understand that any link from our site to an external site may be an affiliate link for which we will receive compensation for the click or subsequent sale. We take all reasonable steps to ensure that the information on this Website is correct. However, we do not guarantee the correctness or completeness of material on this Website. We may make changes to the material on this Website at any time and without notice. The material on this Website may be out of date or incorrect and we make no commitment to ensure that such material is correct or up to date. You understand that throughout this site the use of the term "Lifetime Access", or any other similar term, does not relate to your lifetime, but to the lifetime of the product / individual items which make up this product. The creator of this product, or any authorized representative of the creator, retain the sole right to determine the "lifetime" of the product(s) contained on this Website.